Mayor Thomas Sims called the regular Council Meeting of April 11, 2016 to order at 7:30 P.M. Everyone joined in the Pledge of Allegiance. Council Members John Ruymann, Traci Fallow, Allan Palmerson and Julie Zehe answered roll call. A motion was made by Councilperson Ruymann with a second by Councilperson Fallow to excuse Councilperson Cilluffo. Motion carried. A motion was made by Councilperson Palmerson with a second by Councilperson Ruymann to accept the regular minutes of March 14, 2016. Motion carried. A public hearing regarding a text amendment in the OMC to allow for other zoning options of newly annexed land. Hearing opened at 7:31 PM and there being no discussion, ended at 7:32 PM. Mayor gave a quick update on recent park improvements. Lt. Porter delivered a report for the council to review. Public Works Director, Dan Thompson submitted a written report to the council on the projects and work being done around the city in the Water, Streets, Cemetery and Parks departments. An updated cost estimate was given to council. A motion was made by Councilperson Ruymann with a second by Councilperson Zehe to move forward with the pump house project. Motion carried. Water Rate Comparison Chart for small cities in our area. Discussion. Moved to Workshop Meeting. Zoning Text Amendment – Council reviewed the Hearing Examiners Report. Pump House Bids – A motion was made by Councilperson Ruymann with a second by Councilperson Fallow to accept the 3MB Construction Bid to build the new Pump House. - Motion carried. RES #403 Appreciation for Lt. Porter - A motion was made by Councilperson Fallow with a second by Councilperson Zehe to adopt the Resolution as written. - Motion carried. ORD #611 Zoning Text Amendment - A motion was made by Councilperson Ruymann with a second by Councilperson Palmerson to adopt the Ordinance. All Council Members voted YES. - Motion carried. Clerk-Treasurer Amy Durga, submitted: Checks #18443-18454 dated 03-24-2016, in the amount of $3,564.70. Checks #18455-18469 dated 04-07-2016, in the amount of $13,274.64. Payroll Checks #12517-12532 dated 03-31-2016, in the amount of $11,816.33. Motion was made by Councilperson Zehe and seconded by Councilperson Ruymann to accept the Clerk’s Report as presented for payment of the bills. Motion carried. Council and Mayor thanked Lt. Porter for his 10 yrs. 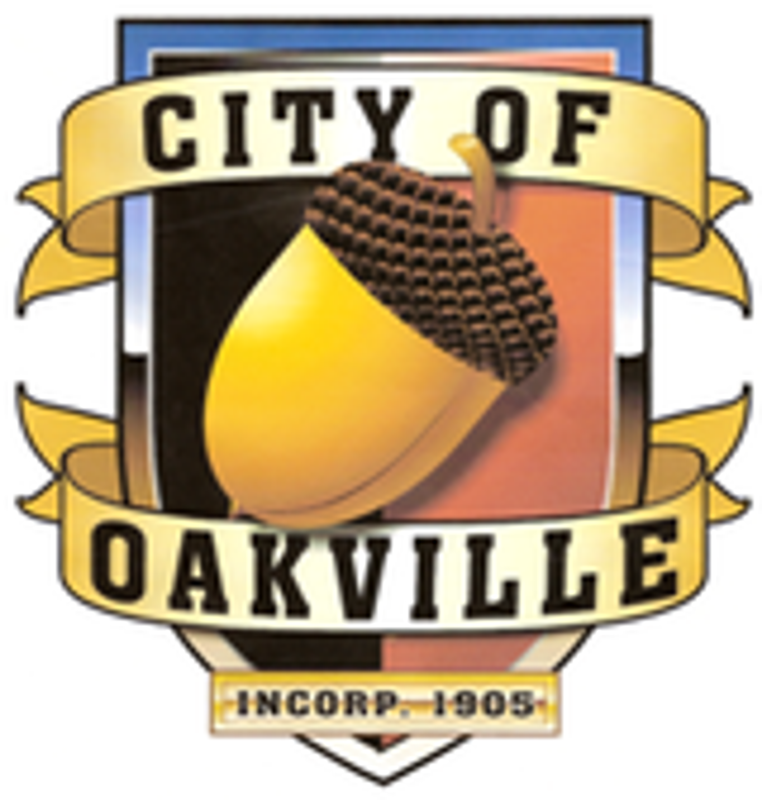 of service to Oakville. At 7:55 PM Councilperson Fallow made a motion to adjourn the meeting, with a second by Councilperson Zehe. Motion carried. Mayor Sims adjourned the meeting.